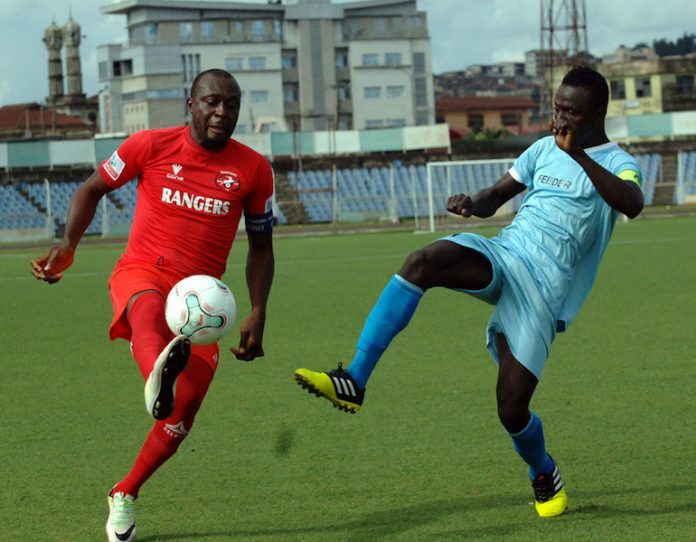 Five-time FA Cup champions, Rangers International F.C of Enugu had to endure a stout defending from a very resolute and stubborn Niger Tornadoes Feeders team in a round of 64 tie decided yesterday inside the Lekan Salami Stadium in Ibadan. Rangers progressed to the Round of 32 after surviving the Niger State team 5-4 in penalty shootouts. Regulation time ended goalless. 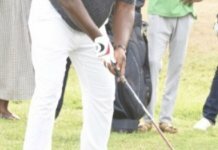 Super Eagles’ fringe shot stopper, Femi Thomas and former winger of the senior national team, Felix Ogbuke were the heroes in the shootout as Thomas stopped the first two kicks by the Minna boys only for the coal city land lords to throw away the advantage as the kicks crept into sudden death. Ogbuke steeled his nerves to dispatch effortlessly what became the last kick of the encounter after Pius David sent his kick skyward for the Minna side but goalkeeper Nasiru Hassan could do nothing to stop Ogbuke’ kick from nestling in the net. Coach Olugbenga Ogunbote’ wards took the battle, as expected, to the amatour side in the opening moments of the game and would have gone ahead on three occasions through, Isaac Loute, Ajani Ibrahim and Ugochukwu Ugwuoke on 5, 15 and 25 minutes of play but poor finishing and splendid display from Nasiru Hassan denied them. On the stroke of half time, Hassan was alive to tip over the bar a goal bound shot from Ugwuoke who met an inch perfect pass from Ajani to riffle home from the edge of the box. 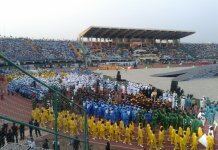 The second half went as the first as the ‘Flying Antelopes’ pushed more men forward with the introduction of former Eagles midfield maestro, Ugonna Uzochukwu to help in the push but the boys from Minna were unyielding and even when they were found wanting on 78 and 85 minutes, Rangers players miss the opportunities inexplicably.